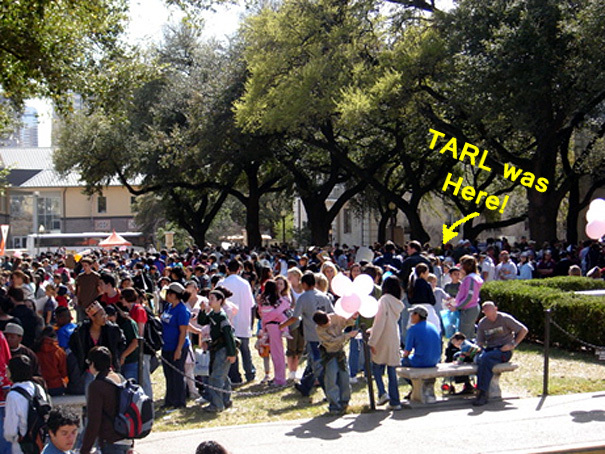 TARL is gearing up for Explore UT on March 7th. Explore UT is touted as “The Biggest Open House in Texas”. 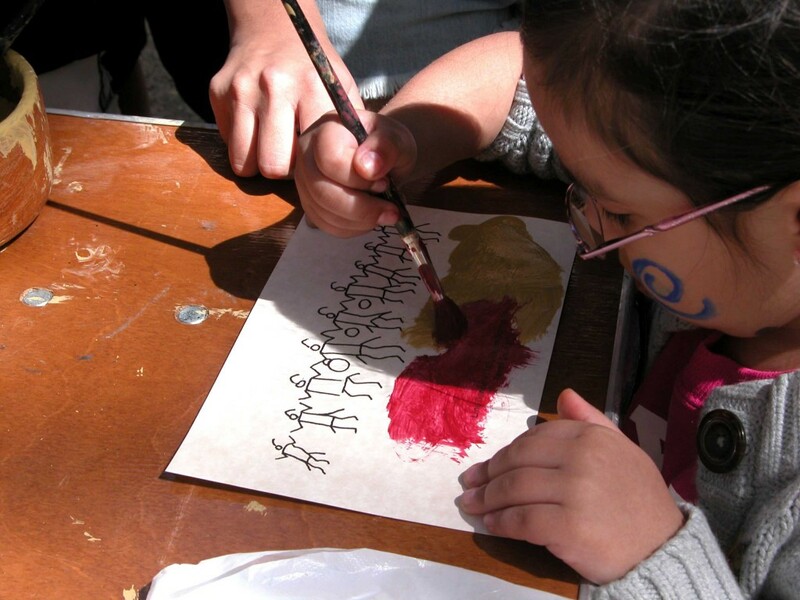 It’s a campus-wide event with hundreds of activities for visitors to enjoy. TARL is participating in the festivities after a few years’ hiatus, but we are back in full force with lots to do for young and old. 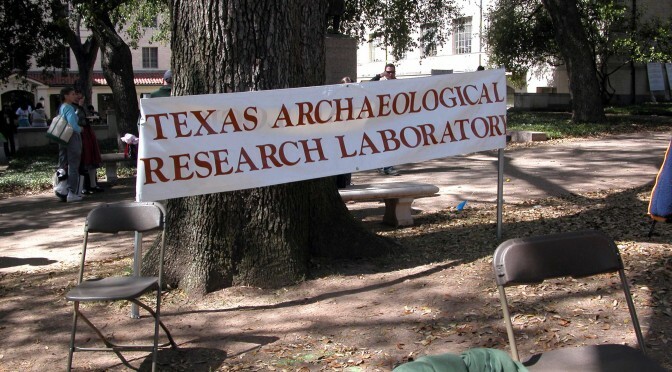 And we will be joining forces with a group of dedicated UT anthropology graduate students who have carried the archeology torch for the past couple of Explore UT’s. 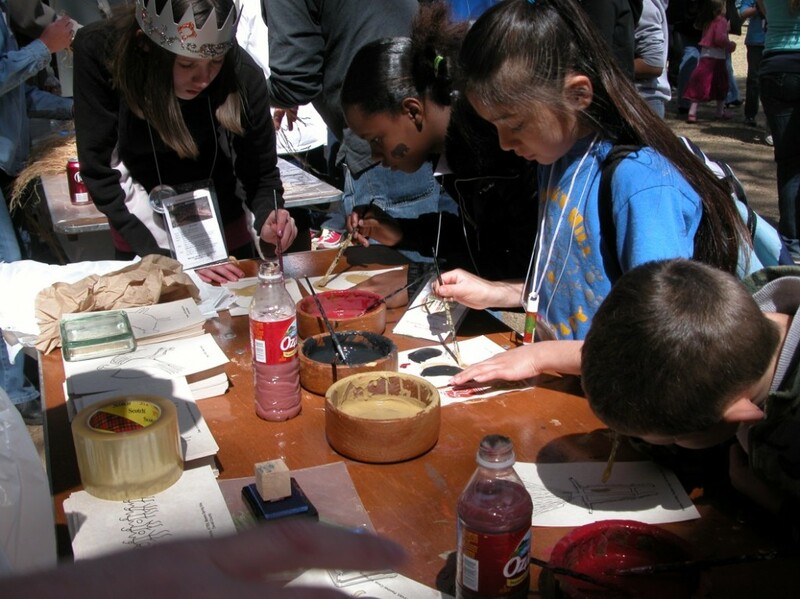 Kids (and staff) enjoying rock art painting during previous Explore UT event. Rosario expertly demonstrating the technique for making cordage during Explore UT to a group of children…who were carefully gauging younger siblings and asking astute questions about tensile properties. 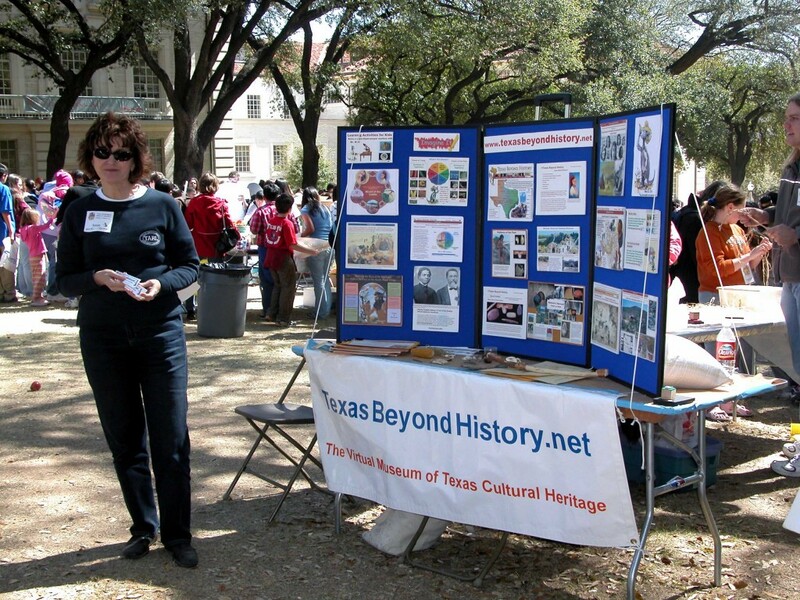 This is Susan “Too Cool for School” Dial manning her Texas Beyond History table. Explore UT, 2007. 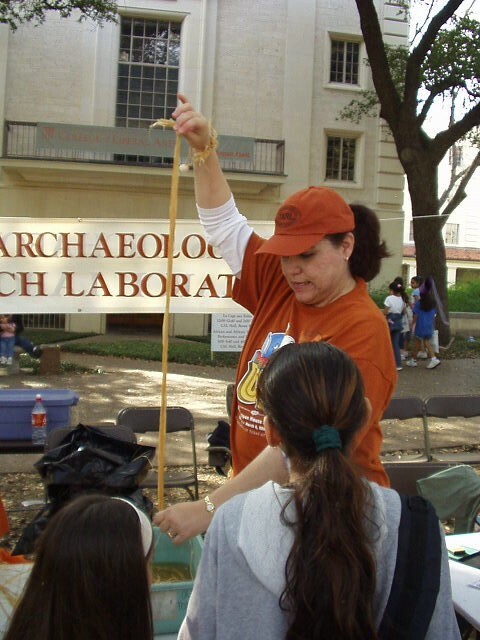 – Susan Dial, our Texas Beyond History editor, will talk about what ancient Texans ate in “Texas Beyond History: Detectives Into the Past”. So come out and pay us a visit; we’ll be on the east side of the main UT campus in the Liberal Arts Building Courtyard. The talks will be held in the Liberal Arts Building, room 1.104. Here’s more information about this event – https://exploreut.utexas.edu/. The biggest open house in Texas, is a pretty accurate description.